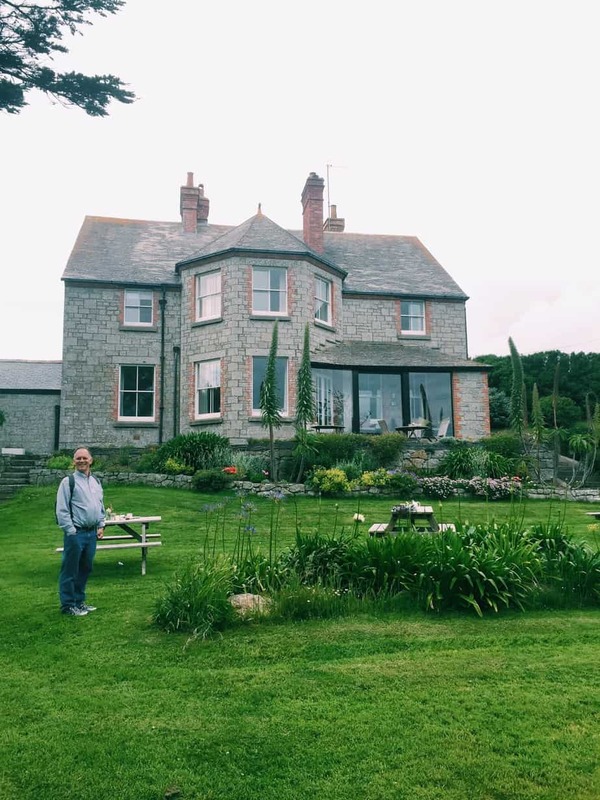 I’m throwing it back to my parents’ visit to the UK this summer, and our weekend exploring Cornwall. 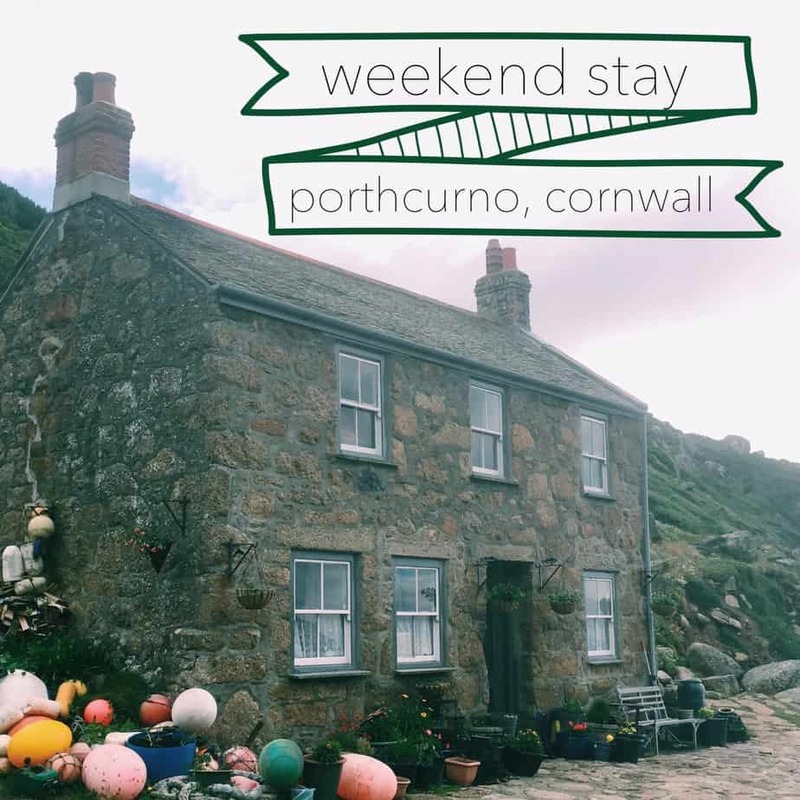 My parents have come to the UK before, and we’ve had our share of Cornwall adventures, but this weekend we decided to stay in Porthcurno and really get the immersed Cornish experience. Porthcurno is a teeeeeeeny town near the tip of Cornwall. In fact it’s so teeny you can hardly call it a “town” – it’s basically one long dirt road down to the ocean. So getting there is an issue if you don’t have a car! 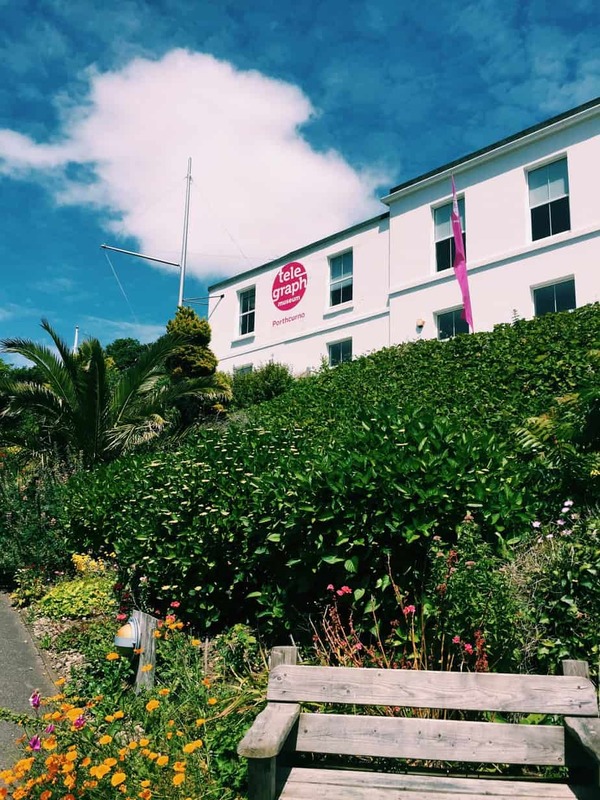 The best way to reach Porthcurno is take a train to Penzance, and from there take a taxi to Porthcurno. It’s not too price with two or more passengers, and only about a 20-30 minute ride from the station. 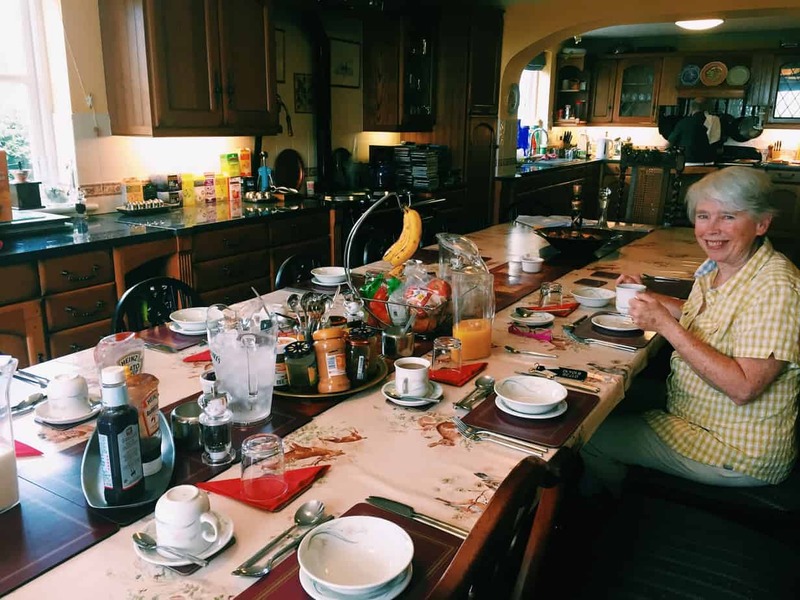 We stayed in Rockridge House B&B which is best rated in Porthcurno and has 3 sea view rooms! 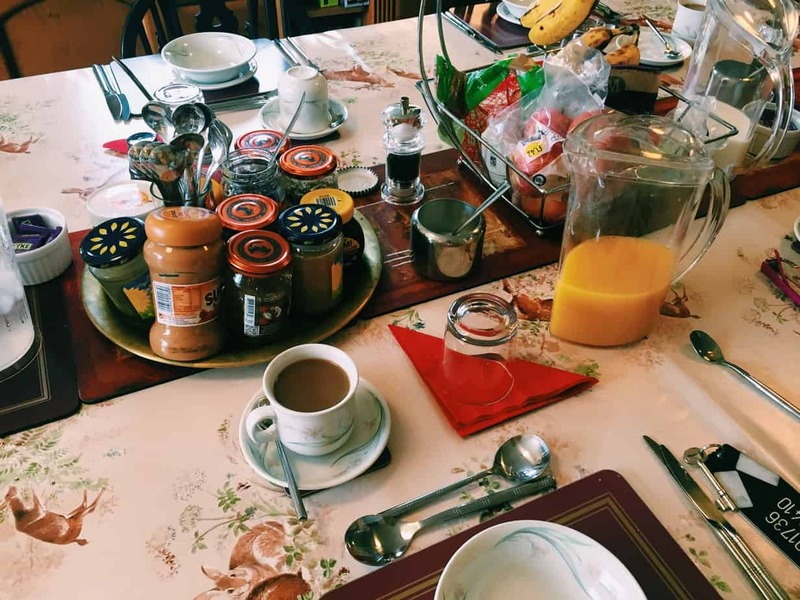 It was spacious and the breakfast was amazing – the lounge was pretty disorganized and full of laundry though so not great for chilling in. That was the only downside! 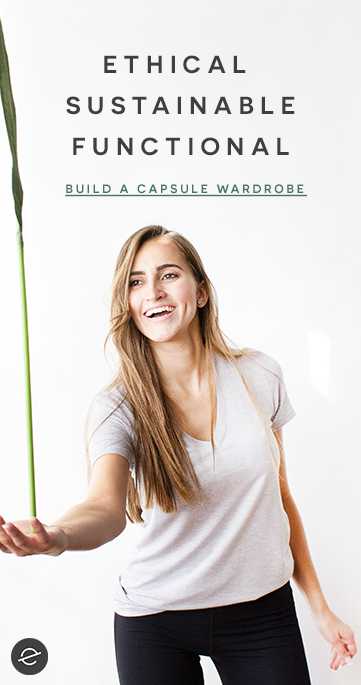 Location was ideal and it was super cozy. Prices range from £55 to £75 per room – not too pricy for the quality but certainly not budget-style either. You can find cheaper accommodation on Airbnb – Use my link for $33 off! Tbh…there are not that many options in this glorified road turned village! 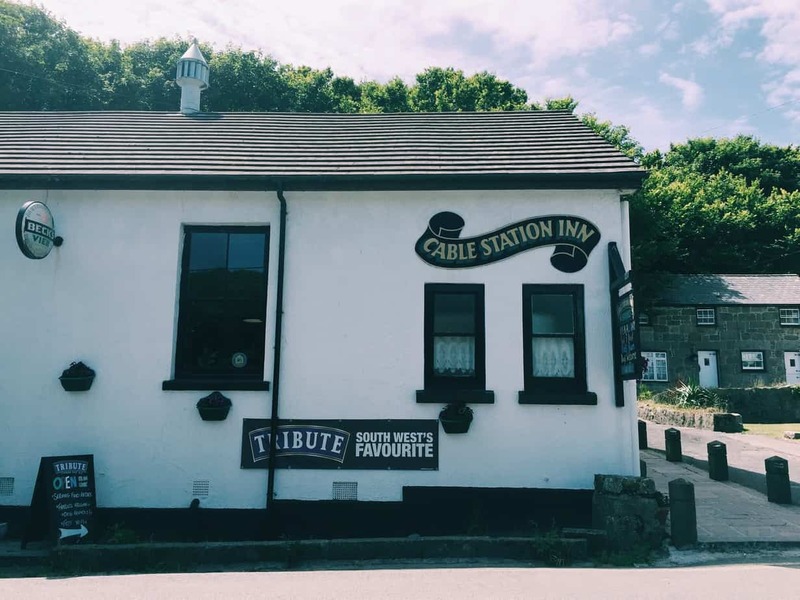 Cable Station Inn is the one and only pub that graces Porthcurno…which we frequented for pretty much every meal other than breakfast! There’s plenty of selection and gluten free options, which was unexpected and nice! 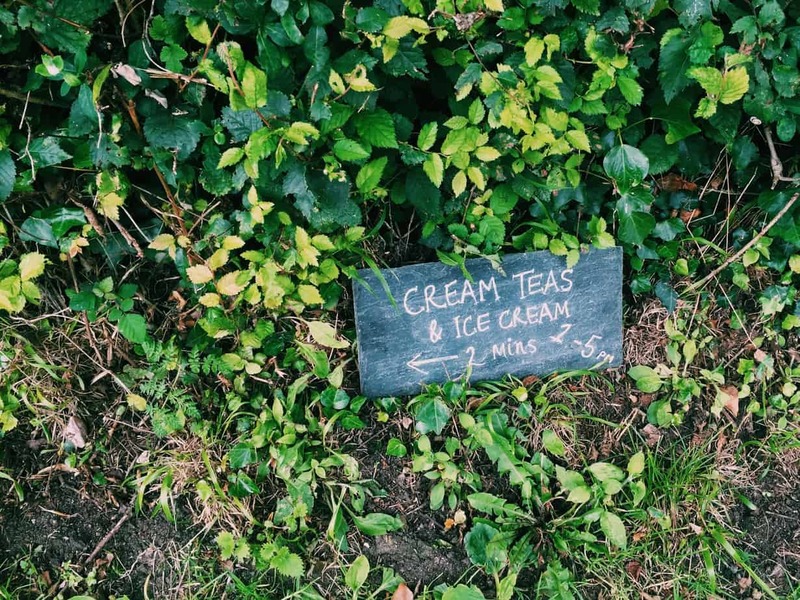 If you’re lucky and taking a stroll along the southwest coastal path west from Porthcurno, you’ll happen upon this family home that hosts cream teas in their back yard on nice days!! 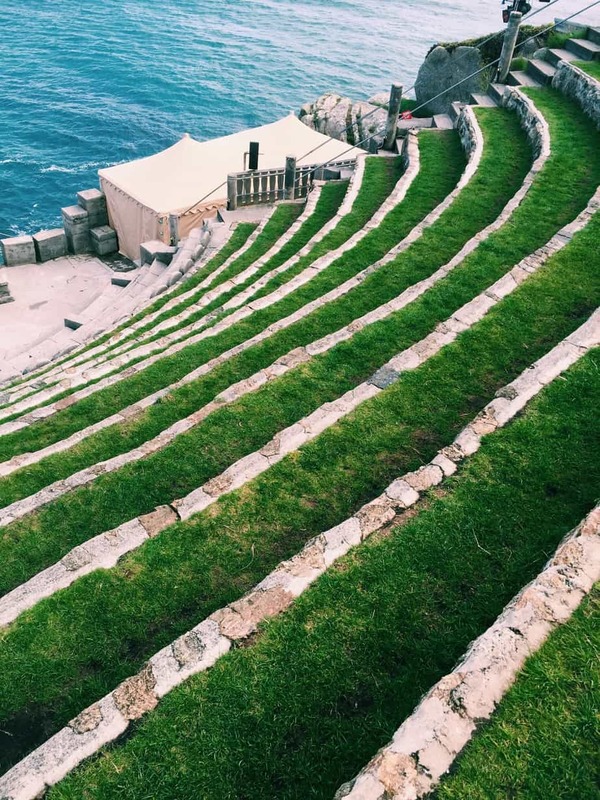 Porthcurno is most known for being home to the Minack Theater – hewn from stone in a Greek amphitheater style, you can see top notch professional or community theater with the ocean vast in the background. ^We saw a production of Our Town by an American theater troupe…ironic much?? 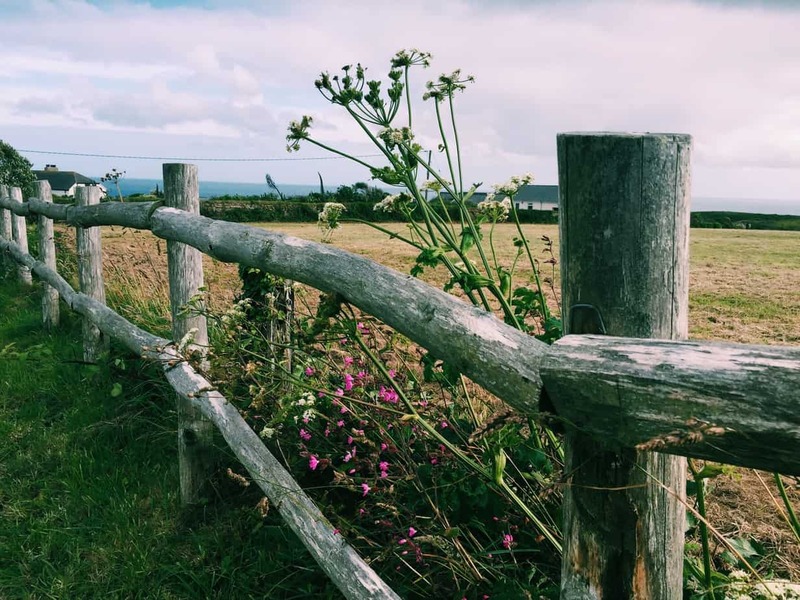 When in Cornwall you must explore the southwest coastal path – one of the world’s most famous and well kept nature trails. 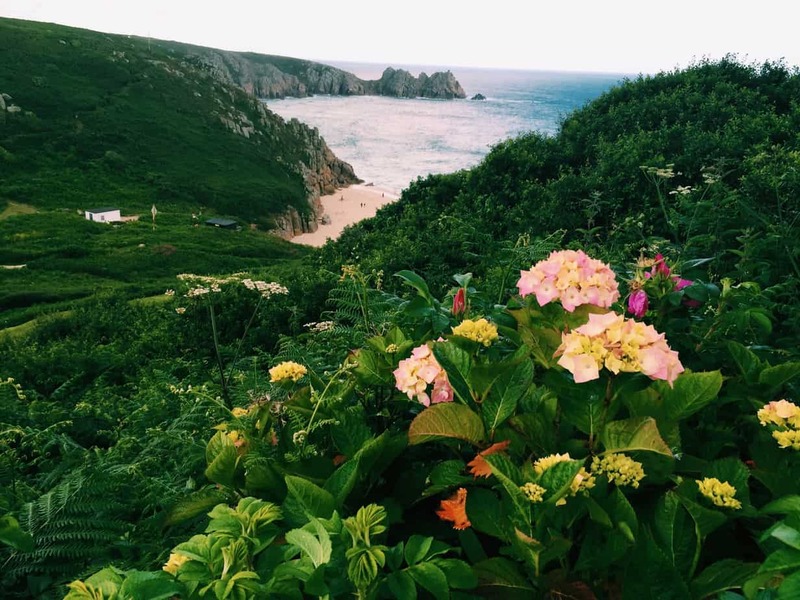 People come from all over to hike this trail, and lucky little Porthcurno is a common stop, located right along the path. Just make sure you bring sturdy shoes – some parts of it are steep! Porthcurno may be an itty bitty town but it is famous as the once end of the the transatlantic telegraph line between the UK and USA. It’s £6 for students or £8.50 for adults to explore the museum – which extends back into the mountain cave WWII barracks! So…. by now you’ve probably realized Cornwall’s greatest quality (it’s charming tiny villages, rural feel) is also its worst (impossible roads, so difficult to travel through). 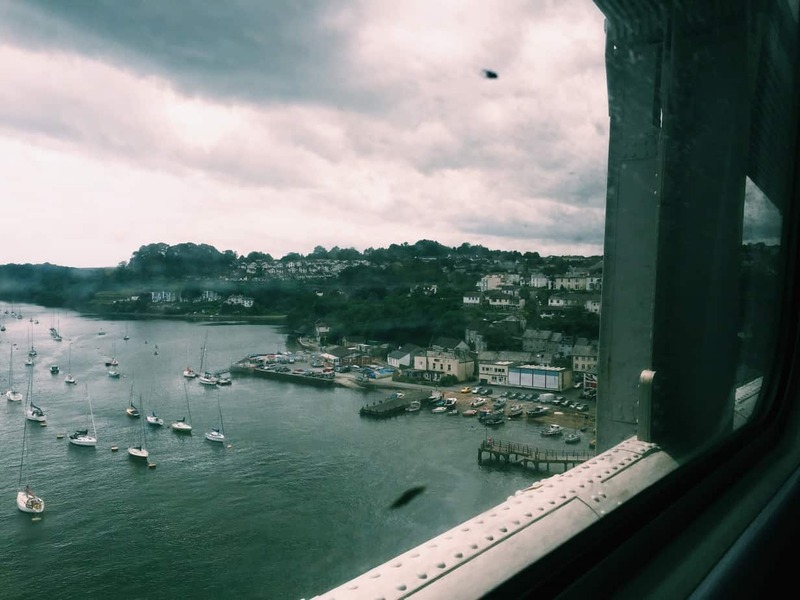 Although the UK has one of the best train systems in the world, the train isn’t going to help you get to the small villages and off-the-beaten path treasures (read: neolithic stone circles in abandoned fields, abandoned mine quarries…) that define Cornwall. The best way to see Cornwall is by car. But for us unenlightened Americans who only drive automatic cars, it was going to be hugely expensive to rent a car! 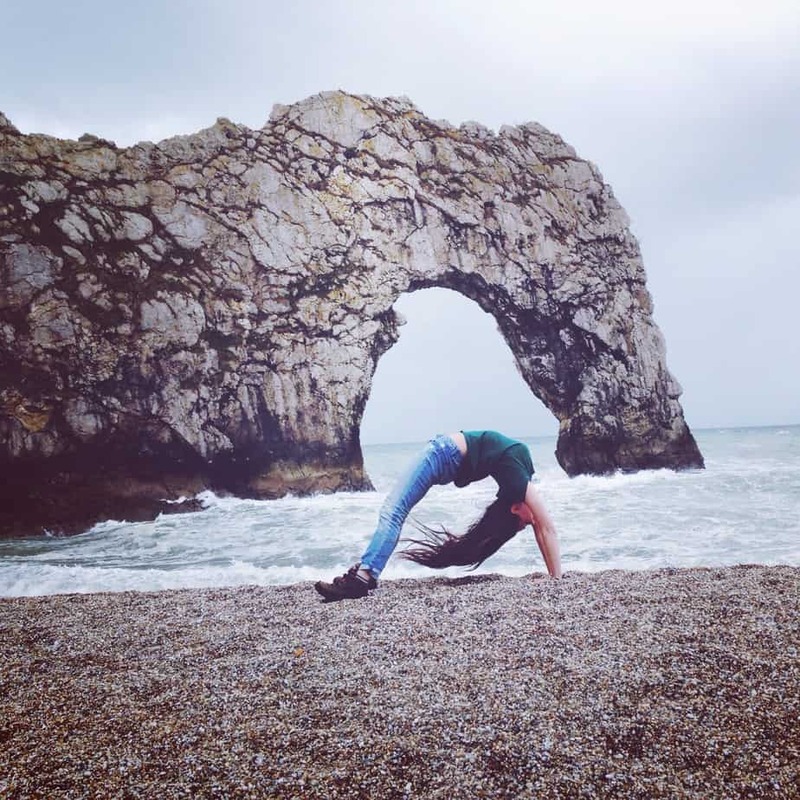 So we actually booked a private guided tour of Cornwall with Western Cornwall, and it was such a better deal! We not only spent less, but got more information from a local, and saw so many sights we otherwise would have missed! ^Dangerous cliffs at Land’s End! ^Old mining town remains…Poldark is filmed here! ^^Lanyon Quoit, from the Iron Age. Our guide warned us not to climb on it in case we experience the mysterious Hummadruz!! ^^Mousehole, my favorite tiny town near Penzance. Unfortunately we only drove through! 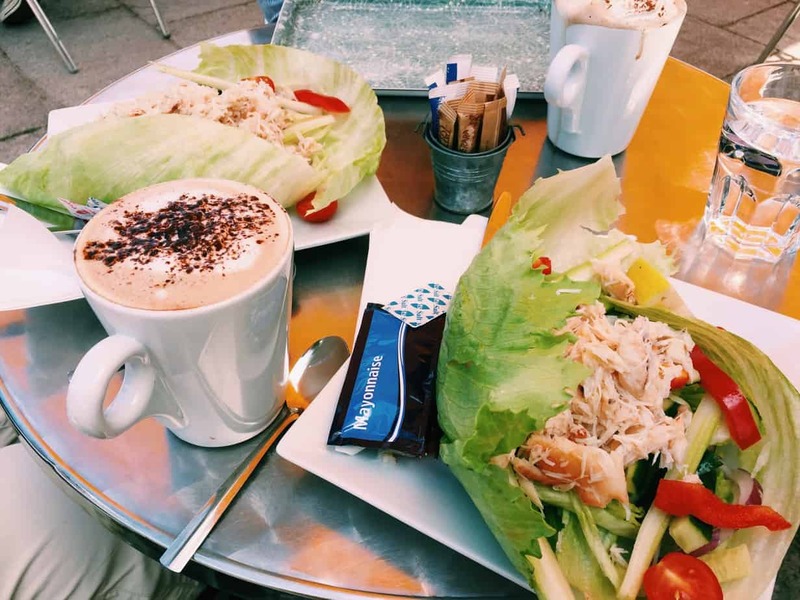 All this reminiscing makes me want to pay little Porthcurno a visit again. 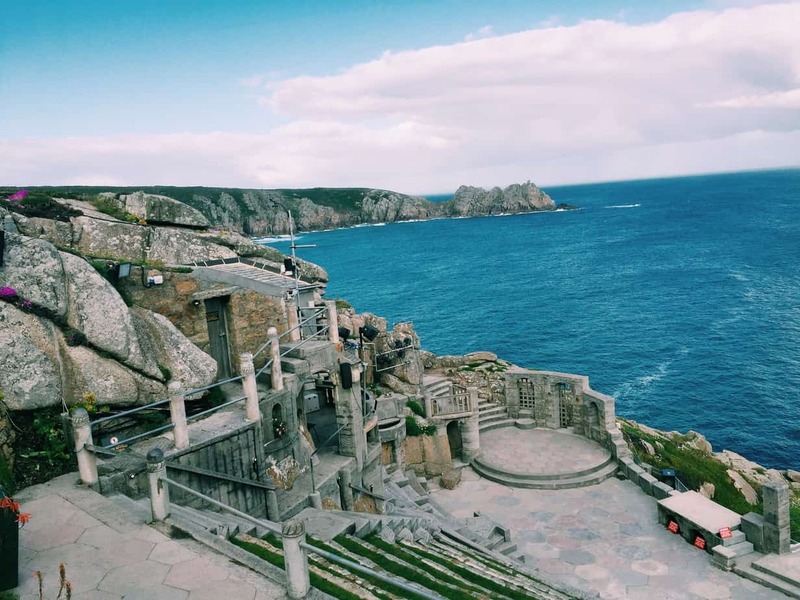 I’ll have to check the Minack Theater schedule – and pack my hiking boots! 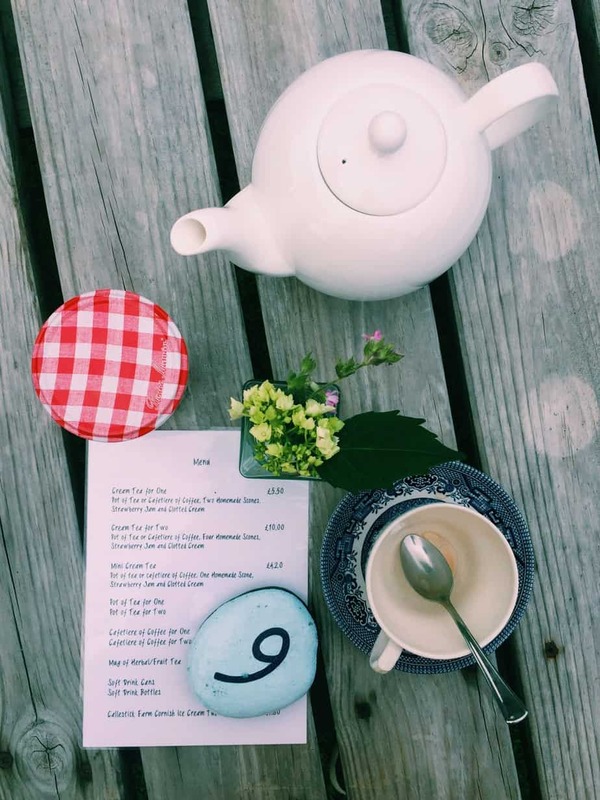 Weekend Stay in Malmesbury, Cotswolds!